“[T]here is nothing more difficult to carry out, nor more doubtful of success, nor more dangerous to handle, than to initiate a new order of things…” So wrote Machiavelli in 1532. Social entrepreneurs today might be inclined to agree. We talk to Rafael Ziegler, co-ordinator of the Social Entrepreneurship Research Plattform GETIDOS at Universität Greifswald and the Institute for Ecological Economy Research (IÖW), about entrepreneurism and the challenge of social change. You are the co-author of a new book called Social Entrepreneurship in the Water Sector. What were the big questions that motivated you to write this book? Here is one: Societal change raises many questions of responsibility. Who is responsible for holding government accountable to commit to international resolutions such as the Millenium Development Goals? Other governments? The rich and powerful? All the citizens of the world? Who takes the responsibility for societal change? In your book you talk about the idea of ‘Changemaking’. What do you mean by this? Changemaking requires makers. Changemakers may be governments, businesses or NGOs, but in everyday life they are most easily understood as persons. Biographies tell the stories of outstanding changemakers – motivated and creative, experimental and persistent, visionary and charismatic – and examples include civil society leaders such as Wangaari Mathai, who planted millions of trees, entrepreneurs like Steve Jobs, who changed information technology, and statesmen like Barack Obama, no doubt a major player today in the rhetoric of change. In this book, we decided to focus on “changemakers” in one field of action that is important for everyone: the water sector. We wanted to know: what is the contribution of social entrepreneurship for societal change in the water sector? So what is the relationship between entrepreneurship and social change? Are they necessarily linked? According to Joseph Schumpeter the maxim of the entrepreneur is getting things done. Yet, Schumpeter’s “gale of creative destruction” is primarily focused on social change in the economy. The unquestioned assumption is that economic development raises the standard of living. The term ‘social entrepreneur’ indicates there is a pressure in view of large societal and environmental problems to move beyond this business focus. Hence we see the rise of the adjective: not the entrepreneur, but the social entrepreneur (and not development, but sustainable development etc.). Accordingly we called our project GEtting ThIngs DOne Sustainably (GETIDOS); pragmatism on the one hand, meeting social and environmental goals on the other. A paradox or the way forward? As a result, entrepreneurship receives double attention in capitalism. It is used to describe individual business entrepreneurs and increasingly as a way of talking about politicians and civil society leaders. Hence the spectre of an economic imperialism that phrases everything in economic terms, indicating entrepreneurship and innovation as somehow inevitable. On the one hand, entrepreneurs and their innovations are a driver of economic growth, and by implication also of the sustainability problems caused by economic growth. On the other hand, entrepreneurs may come up with social or ecological innovations that help overcome problems of unsustainability. One way this problem solving seems to happen is via a relatively recent type of changemaker: social entrepreneurs are now popular and self-identify as actors for societal change supported by ‘the power of ideas to change the world’ (as David Bornstein says). Did you ever have any doubts as to the effectiveness of social entrepreneurship and the projects that you studied? From the start there were second thoughts! What, if anything, can such actors achieve for societal change? Do such actors have significant access to resources and know-how of scale to make a difference or do they simply legitimize the status quo? In particular, what do tales of heroes tell us about change? ‘Caesar defeated the Gauls. Did he not even have a cook with him?’ asks Bertolt Brecht. Who is with these actors; who gives them authority to act on behalf of others? Where does social change originate? Is the framing of changemakers as ‘entrepreneurs’ and ‘innovators’ part of a neo-liberal agenda that makes the market and its terminology the imperial language for politics and civil society? What then about environmental sustainability and social goals? Finally, what about us? Would we be able to make a contribution to our partners or to the general public, not least given the large diversity of ideas and approaches seemingly held together by the new label of social entrepreneurship? It seems that you were able to do so! Can you tell us a bit about the projects that you were involved with in writing your book? In 2009 a journey started that would take our GETIDOS team from the River Ryck in Greifswald to a soccer player in Hamburg (Germany) and a river jump inventor at the Loire in France, to quite a different river jump in Nairobi (Kenya), to the stakeholders upstream and downstream of a fund in Quito (Ecuador), to water catchments in Maharashtra (India) and a blue forest in the High Tatra in Slovakia, and back to Greifswald and into the Ryck (more about all this later). On this basis, our book offers in-depth case studies of innovative ideas such as “toilet monuments” to improve public access to sanitation, “river jumps” to improve public awareness and participation in river basin management, and even integrated watershed management programs developed as a social contract in India and as a Green New Deal in Slovakia. What did you learn about Social Entrepreneurism from these projects? Based on in-depth case studies of social entrepreneurship around the globe, we come to an understanding of SEI as pioneers who develop and aim to spread novel ideas in collaboration with others for the public good, and also partly succeed in doing so. Ideas for the public good in the sustainability context refers to relatively new, practical solutions to challenges regarding strong sustainability and central capabilities. These ideas usually come with an attempt to reconfigure problem perception with a view to central capabilities and environmental sustainability. 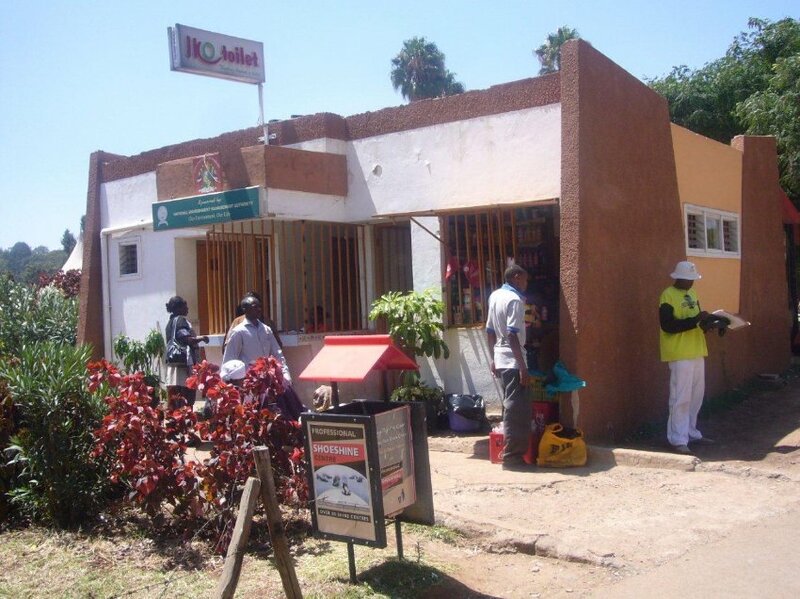 They typically bank on co-operations at the local level and they aim at empowerment, in particular with a view to improve the capacity of communities to organize themselves and to promote individual and group capacities to aspire. Pioneer here refers to the development and testing of new ideas and processes, in the sense of providing an initial proof of functionality as well as making efforts to create or change political, economic and cultural conditions with a view to the respective social mission. Pioneer here also refers to achieving the impact with others, where the pioneer – be it a person or organization – needs organizational capacities to trigger and facilitate such collaborative processes. As pioneers for meeting social-ecological challenges, their innovations provide them with a potential source of output legitimacy. Empowerment, social accountability and outside recognition are further potential sources of legitimacy. The actual legitimacy of SEI remains ambivalent. This is so partly because the aims are still in the future (output legitimacy is not yet fully clear), or as in your quote from Machiavelli: it is “doubtful of success”. Partly, it is so because there is a lack of transparency and systematic documentation (reduced social accountability) and partly because empowerment may yield only unequal participation possibilities. And finally, what is ‘The Big Jump Challenge’? The book concludes with a trans-disciplinary case study. Together with Big Jump inventor Roberto Epple, the betterplace lab and many further partners we designed the Big Jump Challenge – a youth campaign for water conservation. Participating youth groups first develop their local actions via an online collaborative platform, then they jump at the same time in their rivers, and finally they discuss their experience and demands in a river parliament with delegates from politics, administration and civil society. 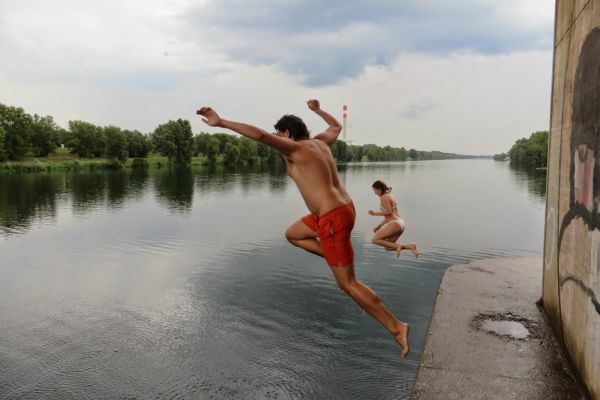 Following the development of the Big Jump Challenge in Germany, a European-wide youth campaign has now started, culminating in a European-wide Big Jump in 2015, the goal year of the European Water Framework Directive (WFD), which sets ambitious goals for rivers and lakes – and which is unlikely to be implemented without public discussion and creative action. So here I have to make a small addition to your Machiavelli quote: presently we often find ourselves in situations where we have agreed on ambitious, “new orders of things”. These are typically initiated in important and progressive conventions, human rights, such as the 2010 UN human right to water resolution, or Directives such as the WFD. Yet, we encounter serious obstacles when it comes to so-called implementation, not least if it is to be “with” and not just “for” those affected. Here social entrepreneurship with its focus on constructive proposals has an important role to play – even if it implies such “dangerous to handle” things as the Big Jump invitation to swim in the London Thames or the Senne of Brussels . . . and yet, these are prefigurative actions for something that should be as simple and natural as going for a walk: swimming in your river and lake. Rafael Ziegler studied philosophy and economics at the London School of Economics and at McGill University. 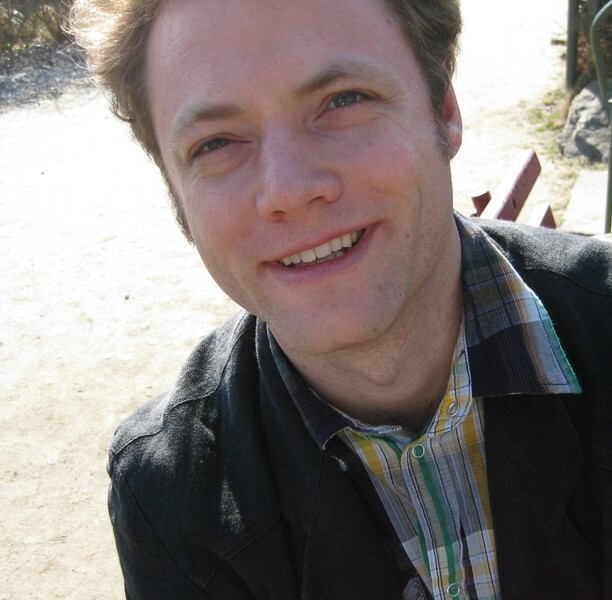 He has worked as a lecturer at McGill University, ECLA, and FU Berlin. Since 2009 he co-ordinates the research plattform GETIDOS (www.getidos.net) at the University of Greifswald and at the Institute of Ecological Economy Research Berlin.